The man snuck into the vehicle as the mom prepared to take her son to school. 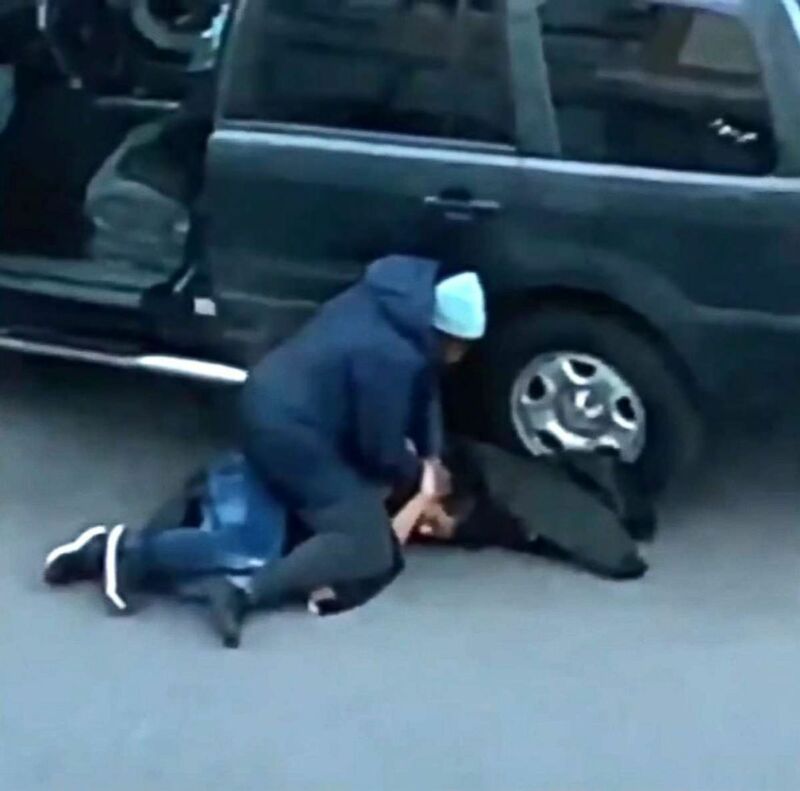 A single mother in New York didn't let a would-be carjacker ruin her busy day ahead of her when he tried to drive away with her SUV on Tuesday morning. 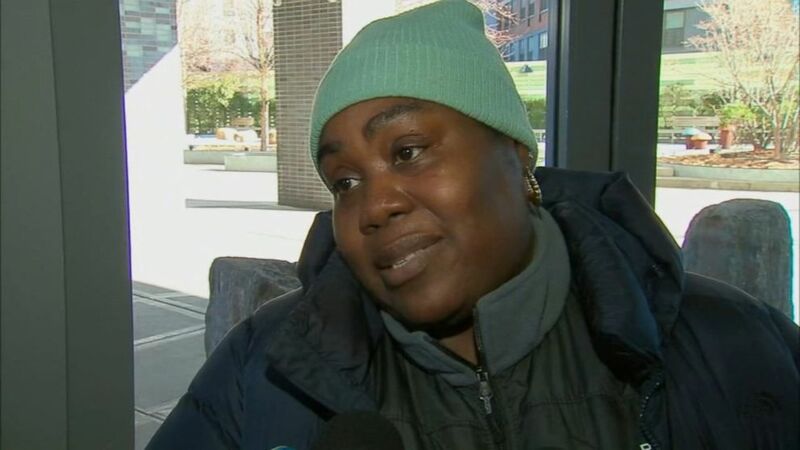 After 49-year-old Tihisha Jones of the Bronx auto-started her 2005 Honda Pilot to warm it before she took her son to school around 7:30 a.m., she noticed a man sitting in the front seat, ABC New York station WABC reported. Jones saw the suspect, identified by police as 19-year-old Bernado Santiago, toying with the ignition, attempting to start the SUV, as she walked towards it with her son, she told WABC. (KMackBrand/Twitter) Tihisha Jones yanked a would-be carjacker out of her 2005 Honda Pilot, Dec. 18, 2018, in The Bronx in New York City. When she opened the passenger door to confront him, Santiago closed it on her, WABC reported. Jones then went around to the driver's side and pulled him out, according to the station. Video taken from an upstairs apartment showed Jones standing over Santiago as he sits on the ground, holding on to his shirt as they awaited police. As Santiago attempted to slip through his shirt, Jones tackled him before pinning him to the ground. Several NYPD officers arrived shortly after. Jones' 5-year-old son was present throughout the encounter, the video showed. The neighbor began filming on her cell phone after hearing the commotion on the street, according to WABC. At one point, the woman behind the camera laughs and says, "Welcome to the f------ Bronx." 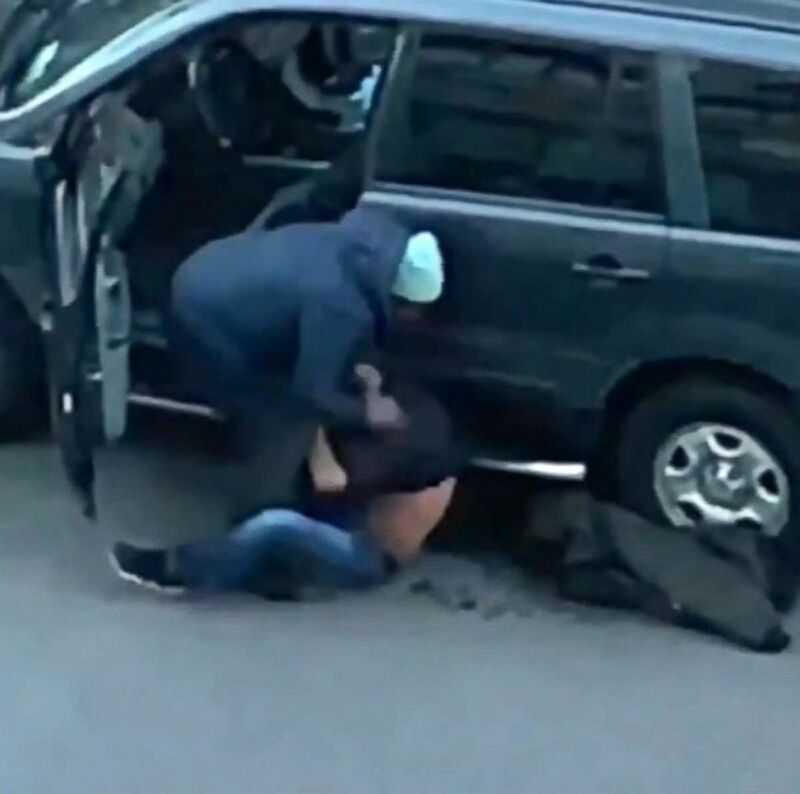 (WABC) Tihisha Jones yanked a would-be carjacker out of her 2005 Honda Pilot, Dec. 18, 2018, in The Bronx in New York City. Jones said she had to act to protect the vehicle she worked so hard to obtain. "I had to take matters into my own hands because I work, I saved to get that car myself," she said. Last week, someone broke one of the car's windows, and the week before that, someone stole the rear spoiler, WABC reported. Santiago told police he got into the car because he thought it was his Uber. He was charged with attempted grand larceny, petit larceny and criminal stolen possession of stolen property, according to WABC.